Location, location, location - cant be beat. Minutes to Longwood Gardens- where you can enjoy summer fireworks from the convenience of your deck. An easy commute to the metro areas of Wilmington and Philadelphia and an easy ride to Baltimore. Shopping, restaurants, and transportation are within easy access. Just perfect - move in and enjoy easy townhome living at its best. A wonderful open floor plan - this gem features a gourmet kitchen with upgraded cabinetry, double wall ovens and a gas cooktop. Enjoy entertaining - in the hub of the house - the kitchen -which is open to both the family room and the dining room. A large island with granite counters provides seating for at least 5. The first floor boasts hardwood flooring throughout, plenty of sunlight, access to the cozy deck and a terrific 2 car garage. The family room features a gas fireplace, ceiling fan, with cathedral ceiling and is banked by windows beside the fireplace. A large powder room and engaging open foyer complete the first floor living space, The second floor is home to two large bedrooms with full bath plus an amazing master bedroom featuring a large walk in closet, tray ceiling, ceiling fan, and upgraded window shades. This private retreat is only enhanced by the amazing master bath with vaulted ceiling, soaking tub, large shower, upgraded tile throughout and double sinks accentuating the incredible space. The full unfinished basement is huge and can provide additional living space. 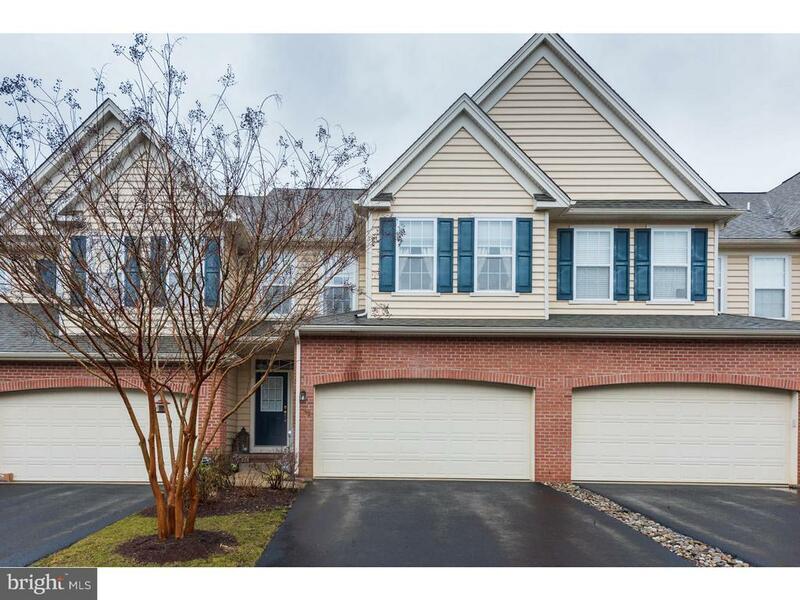 Come make this townhouse the place you call home. Directions: From Rt 1 South headed toward Longwood Gardens - make a right on Ladbroke into Belrose. Inclusions: Refrigerator, washer, dryer "in as in condition"